Beachgoers cautiously returned to the ocean Monday after two young people lost limbs in separate, life-threatening shark attacks in the same town in North Carolina. The man who police say fatally shot his former boss at a North Carolina community college was arrested early Tuesday more than 500 miles away in Florida, sleeping on a beach with a knife, authorities said. 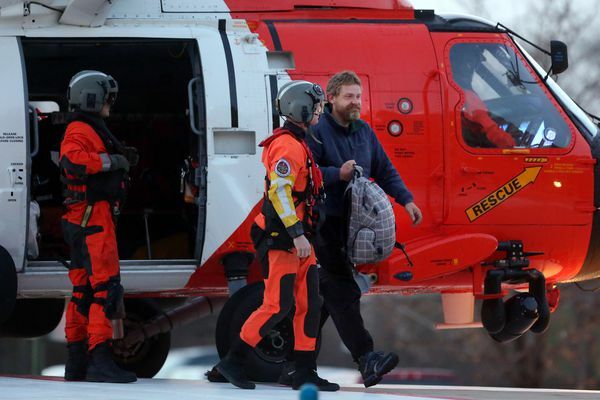 A man who set sail from South Carolina two months ago was rescued on the overturned hull of his sailboat 200 miles off the coast of North Carolina, and he said he got by rationing his water and energy and praying for help. The fathers of three young Muslims allegedly slain by a neighbor who was angry over parking spots stood before their caskets Thursday and urged a crowd of thousands to protect others by demanding justice. The final hours of the HMS Bounty were as dramatic as the Hollywood adventure films she starred in, with the crew abandoning ship in life rafts as their stately craft slowly went down in the immense waves churned up by Hurricane Sandy off the North Carolina coast.